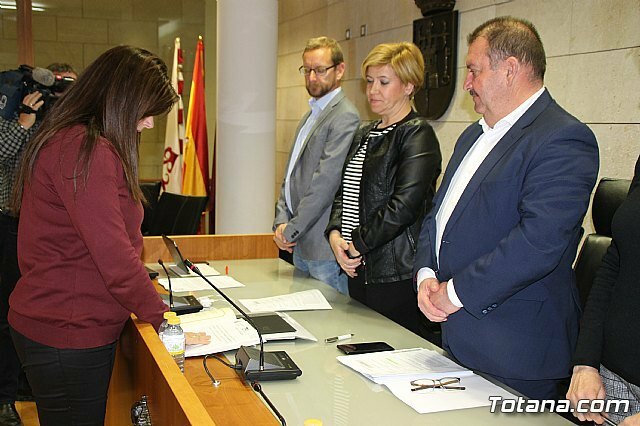 Eulalia Hernandez Lopez took possession last night of his act of councilman of the City council of Totana in the course of the celebration of the plenary session, replacing Francisco José Martínez Casanova, who resigned last October to be incorporated as general director of Attention to Diversity and Quality Educational in the Ministry of Education, Youth and Sports. The act was held in point number two of the agenda of the ordinary session in January, during which he was sworn in and greeted all the members of the current municipal Corporation. and ranked 15th in the candidacy with which the PP attended the last municipal elections of 2015, whose candidacy led by Isabel María Sánchez Ruiz. and is president of the Neighborhood Association of the Olympic neighborhoods, Las Peras, La Estación and Triptolemos. The Popular Municipal Group was to appoint a person to replace the outgoing mayor for the remainder of the term of office, four months, until the next municipal elections are held on May 26.
which were replaced in the municipal Corporation by Juan Carlos Carrillo and María Isabel Rubio de la Peña, respectively. 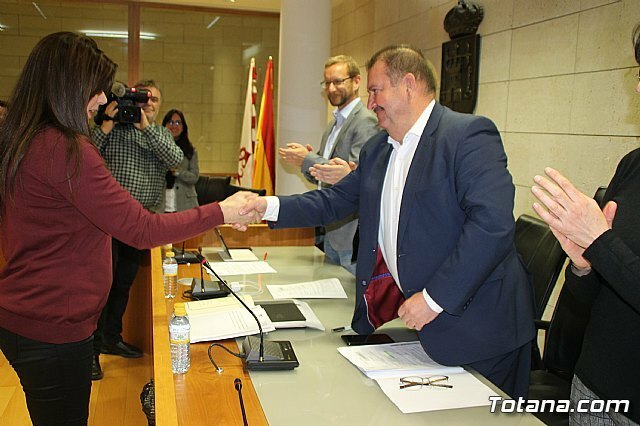 The Totanera Municipal Corporation is made up of 21 councilors: 8 from the PP, 6 from the PSOE, 6 from Ganar Totana-IU and a non-attached mayor.